PE, CB6, CB7, LN4, LN9, LN10 and NG34. To qualify for FREE delivery a minimum spend of £100.00 + vat (£120 inclusive) is required, for orders under minimum spend value standard postage rates apply. Should you have any doubts whether or not your post code is covered, either contact us via our contact us form, or by calling 01775 711141 - Option 2. Postal discounts are applied during checkout process. 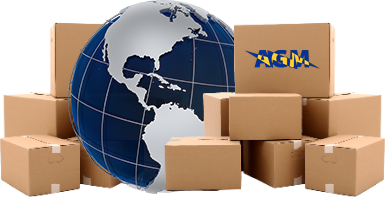 Customers who fall outside of our local delivery routes can take advantage of our competitive parcel/postage services. These are:- Parcels/Packages up to 0.5kg = £3.99, 0.5kg to 1kg = £4.99, 1kg to 2kg = £5.49, 2kg to 10kg = £5.99, All Parcels over 10kg = £6.99. (These prices do not include VAT) - (Multiple purchases qualify for discount and will fall into the relevant weight band). If you require your parcel sooner "And you are ordering before 1pm on a week day" we can offer a 'guaranteed next day' service (Excluding Saturdays and Sundays). This will cost an additional £3.99 plus VAT on top of the 48 hour service prices (quoted above). If you require this service please select it during the 'checkout process'. All "Next Day Upgrade" orders placed after 1pm or on bank holidays and weekends will be dispatched on the next weekday using a guaranteed next day service". Postage to all European countries is based on the following shipping fees: up to 0.5kg = £7.99, 0.5kg to 1kg = £11.99, 1kg to 2kg = £18.99, 2kg to 5kg = £24.99, 5kg to 10kg = £35.99, over 10kg = £47.99. (these prices do not include VAT) - (Multiple purchases qualify for discount and will fall into the relevent weight band). VAT Exempt customers should contact us first to request a VAT exempt paypal invoice. Non UK/European customers: Please contact our sales team either by e-mail or telephone and we will be happy to provide you with shipping costs. Any customer can call into our AGM branch in Spalding to pick up their products. We advise that you call us on 01775 711141 Option 2 for Internet Sales prior to setting off to check our availability. Please note that you do have the right to return a product or to cancel an order within the first 7 days following delivery (Excluding special order items). Refunds will be issued for the cost of the goods only, and not carriage or postage charges (Except in cases where the goods were wrongly supplied or have been received in either a damaged, or faulty condition). Goods returned outside of the 7 day cancellation period will either be exchanged for other goods or a credit note issued. (For further information please view our 'Terms & Conditions').